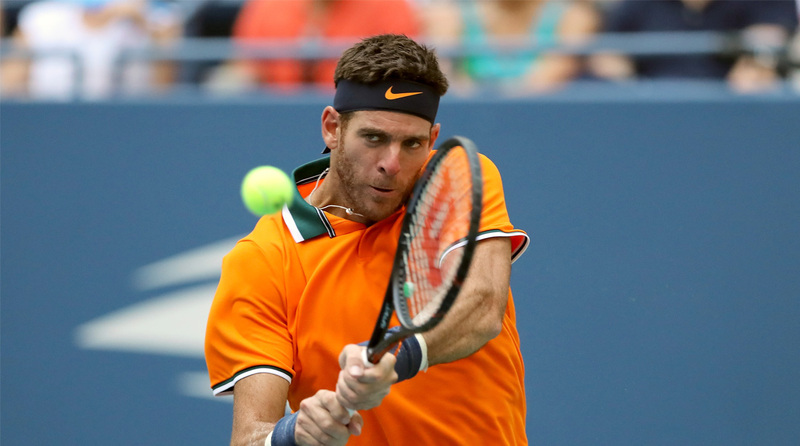 Juan Martin del Potro reached the US Open semi-finals for the third time, defeating John Isner 6-7 (5/7), 6-3, 7-6 (7/4), 6-2 and ending American hopes of a first men’s champion at the event since 2003. “To reach the semi-final again here in New York in my favourite tournament is very special to me,” said Del Potro on Tuesday after his eighth win over Isner in 12 meetings. Del Potro carved out the only break point of the first set in the 11th game but was unable to convert before the 33-year-old Isner claimed the tiebreak with his ninth ace. That was the first set dropped by Del Potro at the tournament. He comfortably levelled the contest, giving up just three points on his own serve in the set. Del Potro saved the only two break points he faced in the entire match in the fourth game of the third set which he wrapped up in another tiebreak. Isner was a spent force in the fourth and Del Potro drove in the dagger with a break in the second game consolidated by another in the eighth. Now he looks ahead to a semi-final where he will either take a 5-11 losing record against Nadal or a perfect 4-0 over Thiem, including a fourth round clash in New York last year where he came back from two sets down and saved two match points. Isner, meanwhile, will return to Dallas as quickly as he can where his wife is due to give birth to their first child in two weeks’ time. But he played tribute to Del Potro. Later Tuesday, Nadal continued his pursuit of a fourth title in New York against Thiem, the man he beat to clinch an 11th French Open in June. Nadal holds a 7-3 career lead over the 25-year-old but Tuesday’s clash under the Arthur Ashe lights will be their first away from a clay court. Victory will put him into a 29th semi-final at the majors. Thiem, the ninth seed, is bidding to become the first Austrian to reach the semi-finals of the US Open. Wednesday’s quarter-finals will see two-time champion Novak Djokovic face Australia’s John Millman, the world number 55 who shocked Roger Federer in the last 16.